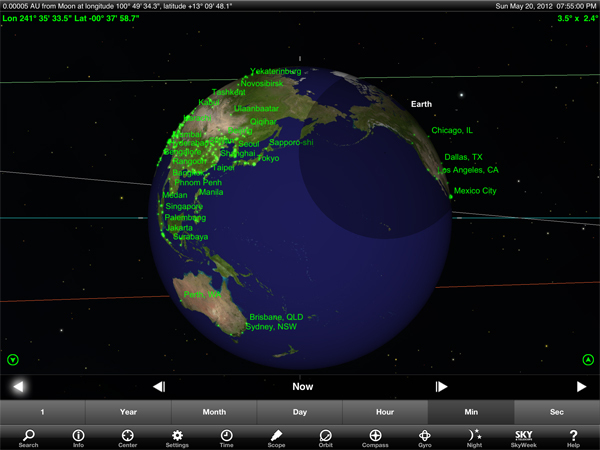 While millions of people across North America will be watching the first solar eclipse since 1994 on Sunday, the SkySafari 3 iOS app is celebrating with new features and a big sale. The app comes in three universal flavors – SkySafari 3, SkySafari 3 Plus, and SkySafari 3 Pro. 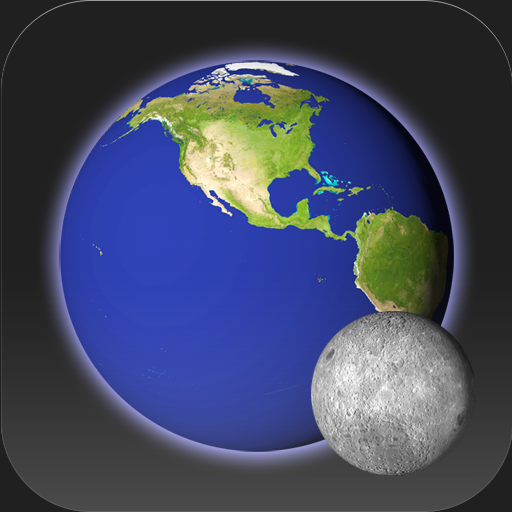 SkySafari 3 is the basic version of the app while SkySafari 3 Plus includes NASA's latest LRO Moon map, with eight times the resolution of the basic edition. SkySafari 3 Pro has all the features of the other versions while adding 15.3 million stars from the Hubble Guide Star catalog, plus 740,000 galaxies down to 18th magnitude, and more than 580,000 solar system objects - including every comet and asteroid ever discovered. 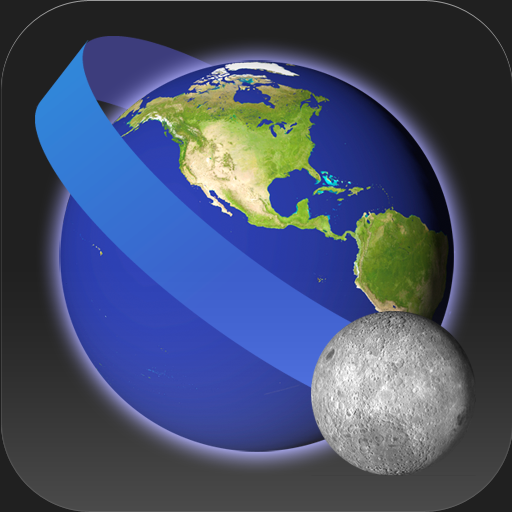 And just in time for Sunday's big event, version 3.5 of SkySafari is the only astronomy app that correctly shows solar and lunar eclipses from anywhere on Earth. The Pro and Plus versions also add a really interesting feature. With both editions, you can now (virtually) leave the Earth and view eclipses or any other celestial event from any other place in the solar system. Here's a quick video on how you can view the eclipse from any place on the Earth, and even from the moon. 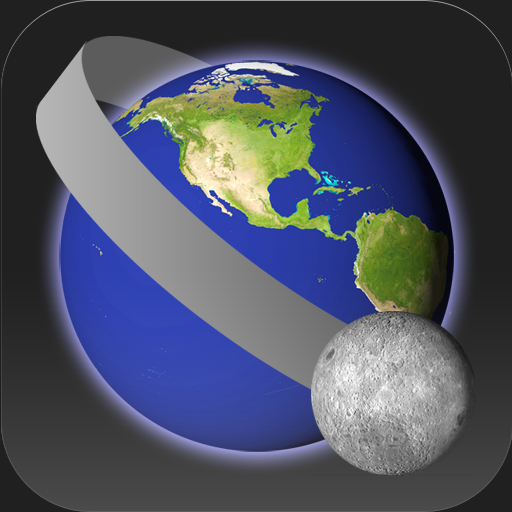 To celebrate the eclipse, developer Southern Stars is putting all three versions of the app on sale, today through Monday. The basic version is normally $2.99 but will be free during the sale. The Plus version will be marked down from $14.99 to $11.99. The massive Pro version drops to $10 to $29.99. For those who like to see the stars on something bigger than their iOS device, the Mac version of the app will also be on sale during the same time in the Mac App Store. The basic version will be free while the Plus version will run $14.99 and the Pro version costs $39.99. I had a great time getting to play around with the iOS app, and was blown away with how thorough all three versions of SkySafari 3 were. Along with looking absolutely beautiful on the new iPad's Retina display, there is more than enough information to satisfy both the professional and amateur astronomer. The last time I was interested in the astronomy, clunky paper charts didn't exactly make the experience all that fun. 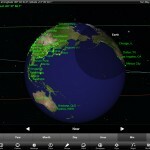 But with an app like SkySafari 3, I think I'll be looking to the stars just a little more now.